As you may know if you read this blog. I have been obsessed with the Daniel Wellington watch ever since I first saw it somewhere on tumblr, many many months ago. Since then there has been a surge in popularity for this minimalistic, classic watch. Both a man and a woman's favourite. 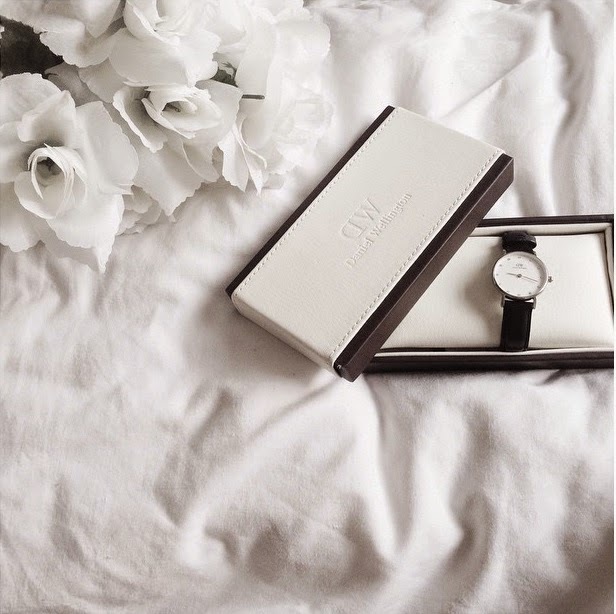 The traditional Daniel Wellington style is here and this was the style I so eagerly wanted on my wrist. A big eggshell white dial which can come in a rose gold case or silver. I never really expected my boyfriend to surprise me with a Daniel Wellington at Christmas but he did( I was in utter shock as I never really properly asked for one). He got me a DW from one of their most recent line's that was different to the usual classic Daniel Wellington which I didn't realise they even did. 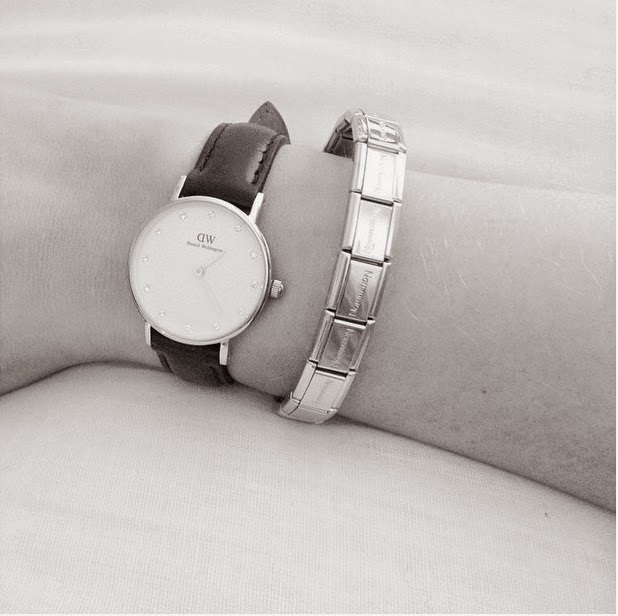 Nevertheless I still loved it and it is still classy and minimal and also nice and petite for my tiny wrists! I was so happy to finally let my wrist meet Daniel Wellington. I have never liked Michael Kors and never really understood the hype - it has always been about a time-less classic, more vintage style watch for me and DW's are perfect.